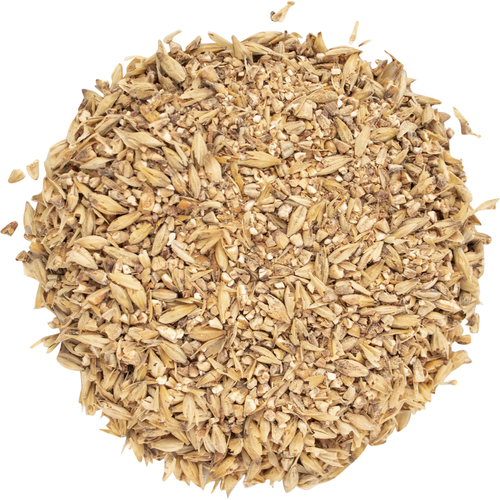 $1.99 to $73.99 & FREE Shipping on orders over $59 $35. 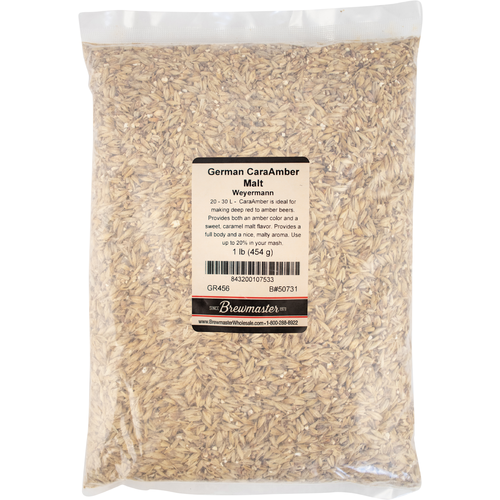 25-30°L - Weyermann CaraAmber is ideal for the production of deep red to amber beers. 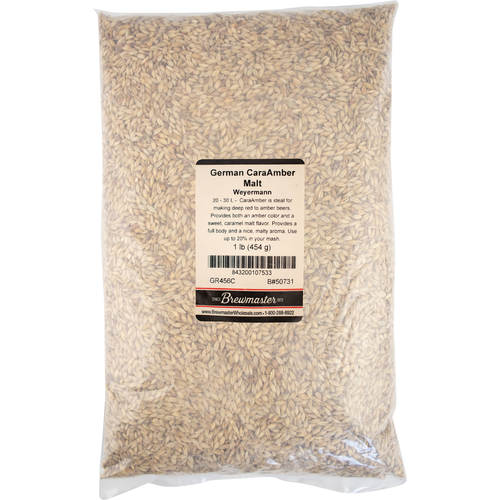 Provides both an amber color and a sweet, caramel malt flavor. 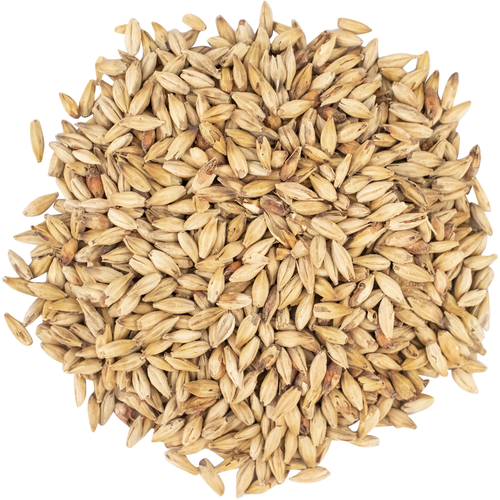 It also provides a full body and a nice, malty aroma to the beer. 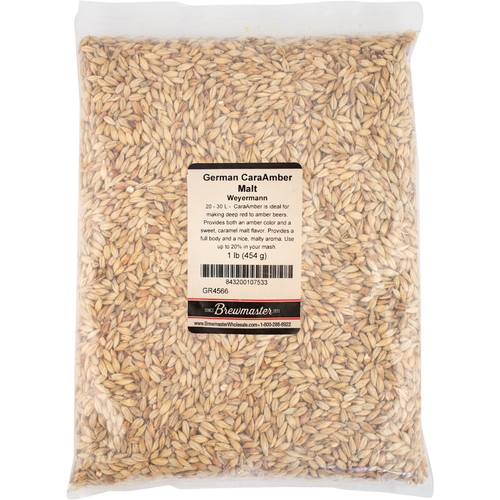 Use up to 20% in your mash.